Bryan and I had a rare Tuesday night double date with the Whitlock's. Thanks to my dad for coming to stay with the kids at the last minute. It's rare that we can hang out with Mark and Missy sans kids. (Mark is Bryan's cousin). Long story, but their son and our Bryce can't really hang together for medical reasons, which is crazy since they are family! So whenever we do hang out with them we usually leave our kids at home or just Missy and I meet up for some girl time. On the agenda tonight: dinner and a movie. The movie: World War Z. So I had it in my mind World War Z was going to be like Zombieland because it was about zombies. I was wrong. WWZ was a little more intense than I expected, but I'm a wuss when it comes to movies so don't listen to me. Now that the movie is over and there are no zombies at my house I can say I liked the movie. It just wasn't what I expected! 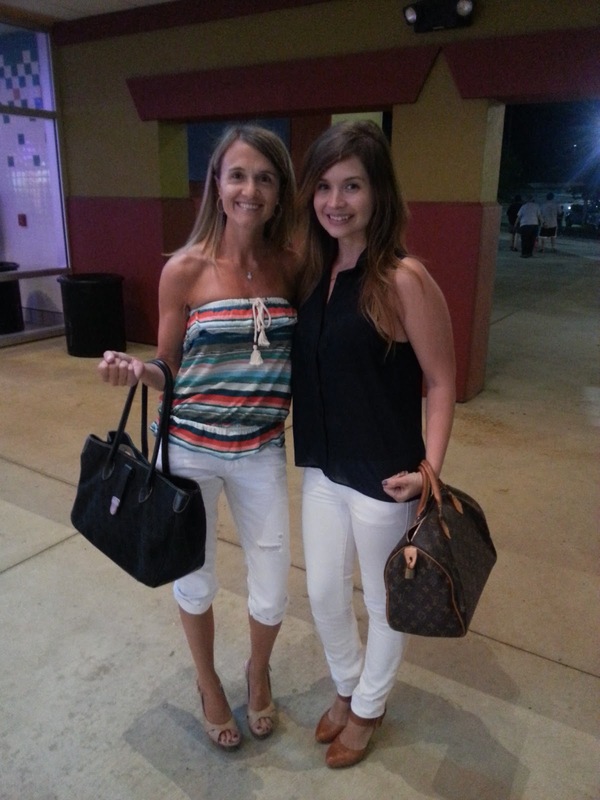 And no...we didn't plan the white pants.